More plans for development aimed to support One Glenwood have been posted. Site plans for what is called Two Glenwood were submitted to the city for a parking deck and 150-room hotel. Built as part of two phases, the deck will come first with the hotel following. The image above shows the floor plan of the new structure. The parking deck and hotel are actually a smaller portion of this lot. 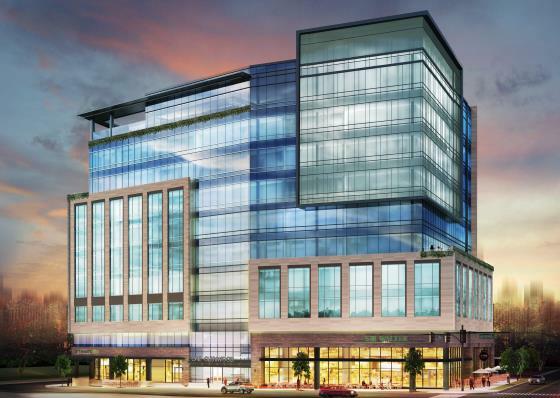 Along Morgan, a 7-story parking deck is planned with 800 spaces. Retail space is also shown in the plans below the hotel. However, the narrower portion of the lot facing Hargett will be used as surface parking and what looks like another entrance to the parking deck. There’s a side note on the plans that the surface parking lot is being saved for a possible future development. 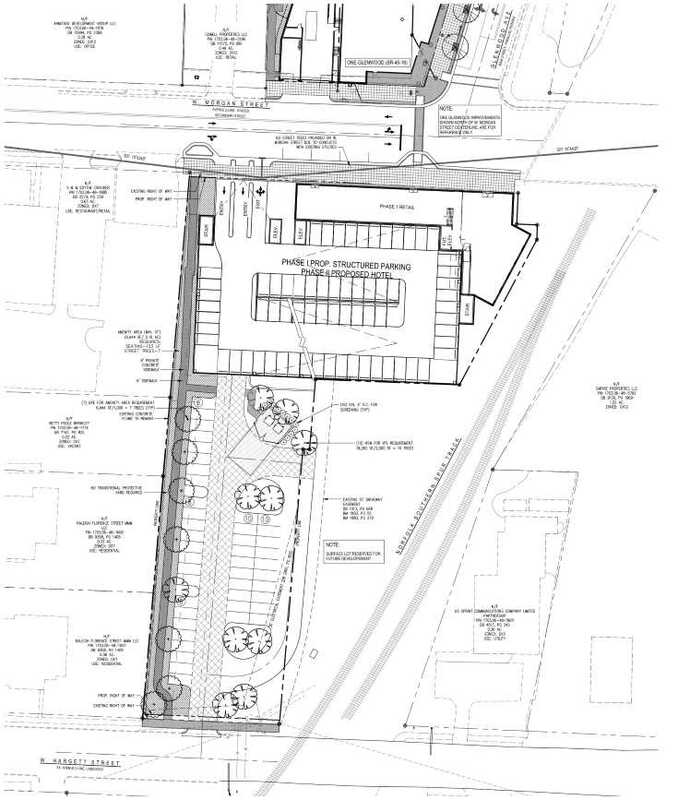 From our look back at One Glenwood in July of this year, these plans confirm the loss of the warehouse where Shelton’s Furniture is currently located. With all this activity happening at the southern end of Glenwood Avenue, I wonder if One Glenwood and Two Glenwood could be the “bookend” that Glenwood South needs, possibly extending the district? Last, I’ve included one of the maps from the site plan as well as a surround shot of the area and more photos. It’s sure to look very different here over the next few years. Morgan Street, December 2016. Click for larger. 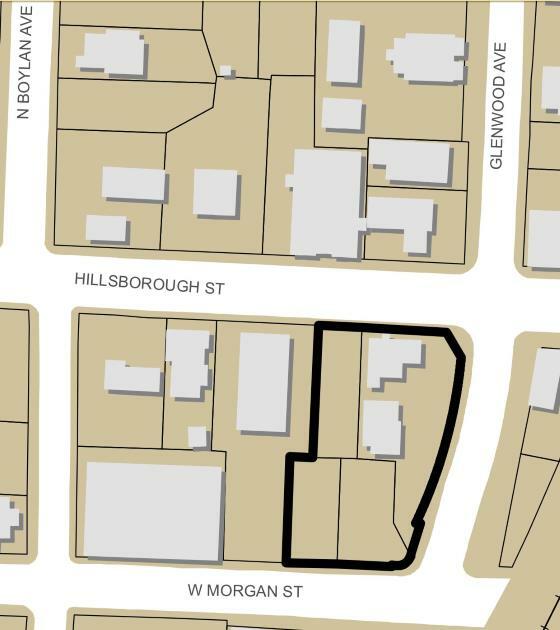 This week, a site review (SR-045-16) was submitted for One Glenwood, a mid-rise planned for the southern end of Glenwood between Morgan and Hillsborough Streets. This would be on the western side of Glenwood Avenue as shown in the below graphic. The new building will take up four existing properties. 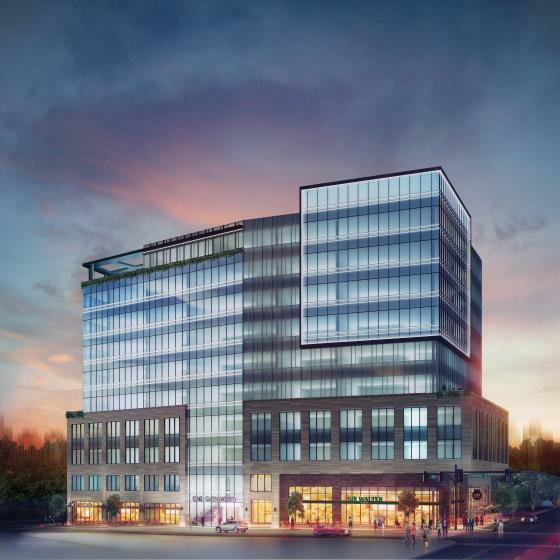 The building will be mixed-use with office space over retail. The site review description mentions an 11-story building but the next page shows the height being 155 feet at 10 stories with over 242,000 square feet of space. There will also be no on-site parking according to the plans. The developer is Glenwood HPI and the architect is J Davis Architects. 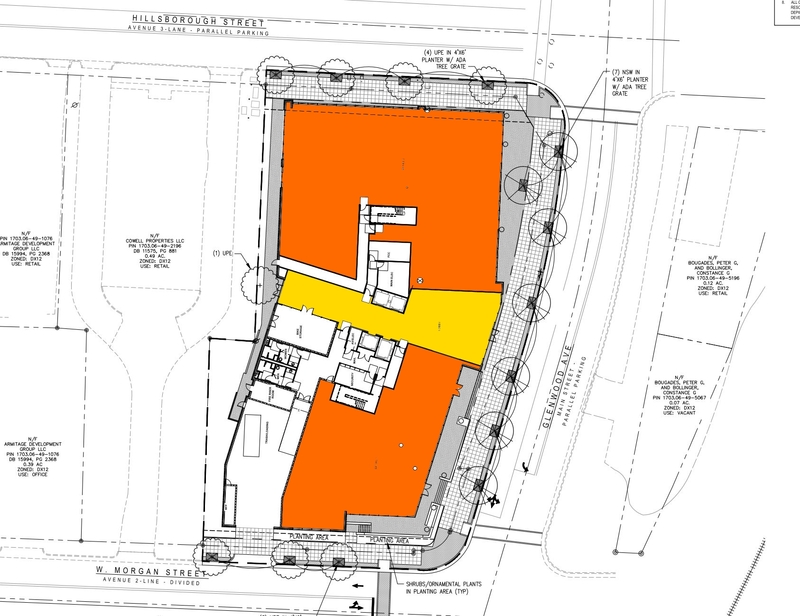 Looking at the site plan, the ground-floor plan shows some generous retail spaces. The center of the building would contain a lobby with two retail spaces on each side, one facing Hillsborough and the other at the corner of Glenwood and Morgan. The modified image below shows the lobby in yellow and the retail in orange. The Morgan/Glenwood retail space also has covered outdoor seating. It evens indicates parking spaces in front of said hotel for “check in, valet and taxi.” More to come on that in the future? We’ll see I hadn’t heard of this hotel before. No renderings are shown so I’ll end with this one that was released earlier this year. On an early morning weekday, I went for a walk up North West Street to check out a few projects and take photos of the current state of the street. West Street is an important street in my opinion as it is a direct connection from the Warehouse District to Glenwood South. Right now, it is more of a go-through street (by vehicle or bike) as opposed to a pedestrian hub of activity. That doesn’t mean there isn’t potential for a different face in the future. There isn’t much to look at but the potential for new projects here is huge. There isn’t much retail or commercial right now. Some blocks of West are even lacking sidewalks. 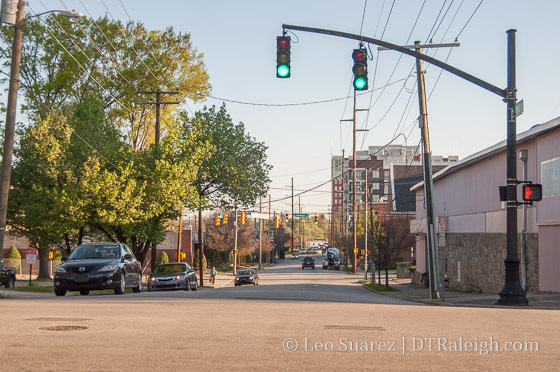 While Glenwood Avenue is the primary pedestrian corridor of Glenwood South, West Street might do the heavy lifting with higher density projects in the near future as well as provide better connectivity in and out of the area. Below is a map I made of highlights up and down North West Street. Let me know if a nearby project is missing and I can add it for completeness. Open up the map yourself here. 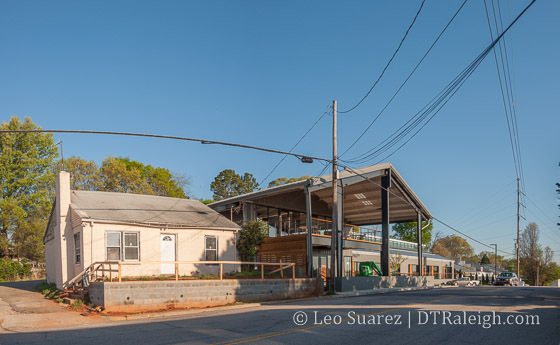 At West and Hillsborough Street, you can already see the empty spaces ready for new uses. The mid-1900s storefronts along Hillsborough and the almost empty block at the corner of Hillsborough and West have been waiting for years. Would you consider this Glenwood South? I feel like this intersection doesn’t belong to either Glenwood South or the Warehouse District so the revitalization of those districts haven’t hit here yet. What could get this area moving are two, big nearby projects. One Glenwood and 301 Hillsborough are about two blocks along Hillsborough in each direction. Those two “bookend” projects could invigorate the street between them. Heading north, the intersection of West and Jones could be much livelier in the near future. The Link Apartments has recently been finished at the Northeast corner and more residential units are planned at the Greyhound Apartments one block to the east. The Link Apartments are now open at West and Jones. The Raleigh Electric Company Power House building is an icon on Jones Street and we’re still waiting to see what comes of the space after Natty Greene’s lease was pulled last summer. At the end of the block, we’re also waiting for the future offices of Google to open. It’s a high-profile company for sure but I still have mixed feelings against Google taking a great looking building and using it for offices and not something more active, especially in Glenwood South. We’ll see how it turns out. Moving on, we pass multiple surface parking lots. I hope one-day that these lots will be replaced with more buildings that support more active uses. The first example of when this could happen is at West and Tucker Street. The east side of West Street has had plans for years for more apartments. The West Apartments and West II Apartments have been in planning for awhile. I haven’t seen big changes to the plans but we’ve known about these projects since 2012. Hopefully, things will move on that in the near future as it is a big infill project as you can see on the map. 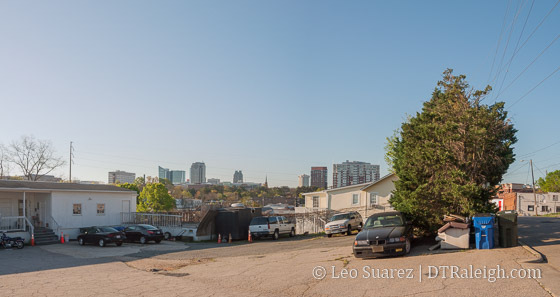 The West Apartments are planned for this surface lot. A project that has been talked about for years, and is always worth highlighting, is not one around the street but under it. The Pigeon House Branch creek is buried below the area around North West Street. You can catch a glimpse of the creek about mid-block between Tucker and Johnson Street. Creek to the left, street to the right. Talks of opening up the creek have come and gone for awhile and it could be an asset in the newest Downtown Plan. The Glenwood Green district shows a plan for redevelopment in this area with a greenway that follows the creek path. It could be one of the most unique areas in downtown around that natural water feature. 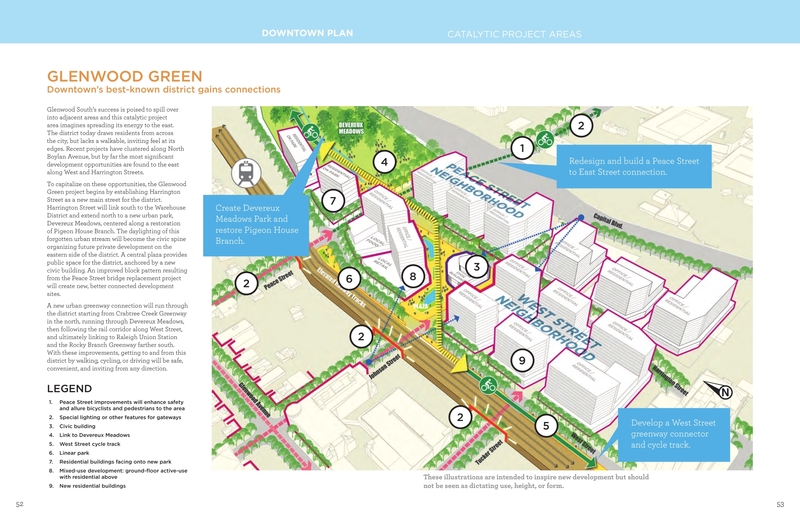 Screenshot from the latest Downtown Plan. West Street becomes more desolate around Johnson Street with the west side lacking sidewalks and more surface parking nearby. Recently, news came out about the purchase of the buildings at 600 North West Street, the current location of Southland Ballroom and Themeworks. It was purchased by a joint effort involving Kane Realty and Williams Realty & Building Co.
No plans are out yet for the site. Once the replacement of the Capital Boulevard Bridge is finished, the area will see a reconfigured Harrington Street that connects to Peace rather than bending over to connect to West Street. Those plans may have played a factor in the area’s attractiveness to invest. 600 North West Street, current home of Themeworks and Southland Ballroom. Hitting Peace Street, the walk has to continue northward. I hadn’t noticed before but the pedestrian amenities are much improved at West and Peace. North of Peace Street, West Street doesn’t resemble the straight-as-an-arrow urban street but changes to a swerving street as it edges up against the Pigeon House Branch Creek. This light industrial and commercial area is seeing some signs of new activity. Renovation almost complete at the corner of West and Peace. At the Northwest corner of Peace and West, the renovation of the building where Lighting Inc used to be looks to be almost completed. The Lundy Group has come in here and bought this building and a few behind it for future redevelopment. Technology companies will be moving in here soon once the former Lighting Inc. building is finished. While the area gets less urban the more north you go, there is something to be said about the view. Best view of downtown, in my opinion. Who can build a condo here for me? The land topography may prove to be more challenging for a new development but with a possible park to the south called Devereux Meadows (see the Glenwood Greens plan above) it’s just a matter of time before this area gets built up. 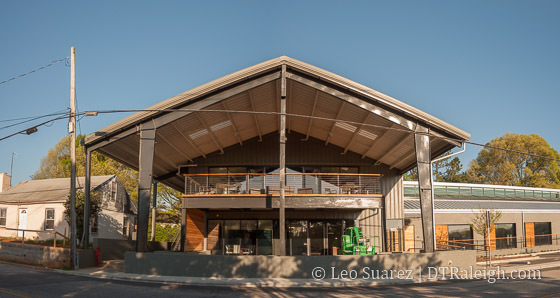 Along the 800 “block”, a fantastic warehouse renovation has taken place. At this time, Morehead Capital is the current tenant. There are also plans for the house next door. Each are shown in this photo below. Old house at 713 North West Street, next to the warehouse renovation at 801 North West Street. 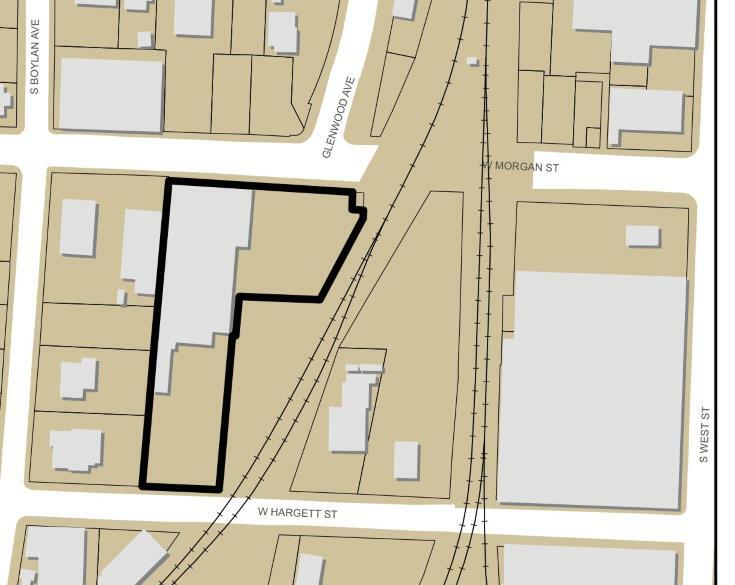 Development plans are on the city’s website for The Cardinal (SR-20-16), a bar and lounge planned for the house there at 713 North West Street. The lot next to it will be paved for surface parking. I finished my walk once I hit 1000 North West Street and decided that was good enough. It’s all industrial at this point and with West ending at Wade, there isn’t much traffic. That could change if, as part of the Capital Boulevard Corridor, West Street is extended northward to connect to Fairview Road. It may not look like it but West Street could be poised for something big and the pieces just feel like they are coming together for this very important downtown street. 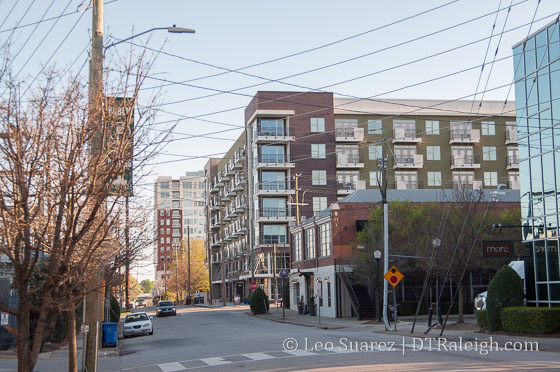 It seems the Downtown Raleigh Alliance is sharing a rendering of One Glenwood on Twitter. 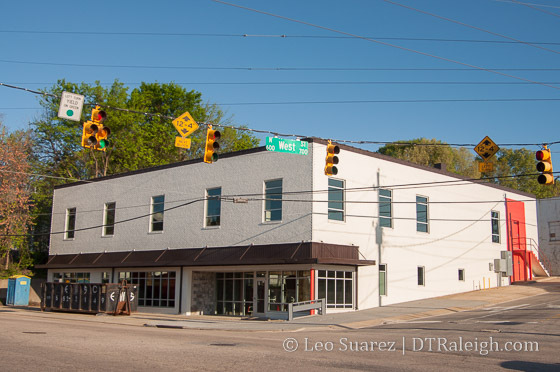 The building is planned for the corner of Hillsborough Street and Glenwood Avenue.